For collectors of United States commemorative stamps, a singular goal has always been the completion of the Columbian Issue. The pride and satisfaction of placing a $5.00 Columbian in one’s album to complete the set, is for most collectors, a philatelic milestone in terms of both expense and accomplishment. It should not be surprising then, that the Philatelic Foundation has had over a 50-year history of expertizing this stamp. The PF published its first analysis in 1981, followed 10 years later with an extensive review in 1991 by Dr. Roberto M. Rosende that appeared in the 1992 Philatelic Foundation Quarterly (Vol. 10, No. 1, pages 7-26). This co-authored article is intended to serve as an update of the earlier studies and includes the addition of all submissions to the PF from October 1991 through February 2004 (PF Certificates #250,000 to #406,540). The PF certified the largest reported multiple, a block of 14 without gum, on October 24, 1991. (PF Certificate #250,000). See Figure 1. In addition, PF Certificates have been issued for an Imprint Plate Number Block of Eight, (PF #38848), the largest existing numbered plate block multiple; three Imprint Plate Number Blocks of Six (two with top imprints and wide selvage, one with bottom imprint and narrow selvage); and five Imprint Plate Number Strips of Four (all are bottom imprints, three with wide selvage, two with narrow selvage). A total of 17 blocks of four are recorded by the PF. Over the years, two of those blocks have since been broken up to yield three never hinged stamps that have been certified as such by the PF. For the perfectionist who collects only multiples of never hinged stamps, none of these certified multiples will measure up to that standard since at least one stamp in each piece has been previously hinged. A total of three used blocks have also been certified, each with a bull’s eye target cancellation believed to be a non-contemporary marking. Only sixteen covers have been certified with $5.00 Columbian stamps. 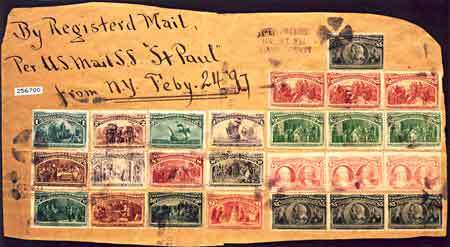 Figure 2 shows the largest recorded usage of Columbian stamps, $49.34 on a piece of registered package wrapper, mailed from Bangor, Maine, on February 19, 1897. Among the 25 Columbian series stamps are a strip of three of the $5.00 stamp at the bottom and a single $5.00 stamp at the top. As of March 2004, a total of 1,413 unused $5.00 Columbians have received PF Certificates. That figure accounts for a relatively large number of the 21,844 copies that were sold by the Post Office. Given its high value, especially in terms of 1893 dollars, it is obvious that collectors saved a large number of these stamps. But, as the following figures will demonstrate, time has taken its toll with respect to condition. In the 110 years since they were first issued, many have been mishandled along the way with the result that a large percentage have been certified with a variety of defects, or have been regummed or reperforated. In the PF’s 50-year history of expertizing this stamp, there has never been an unused $5.00 Columbian submitted with a straight edge for certification despite the fact that each original pane sold included 5 stamps with straight edges! The collector who is seeking to assemble a mint never hinged set of singles of the dollar value Columbians is competing for literally, a handful of $5.00 Columbians. A total of only 10 stamps have been certified as being never hinged since August 1993, when the PF first included the never hinged standard in its certifications, making the $5.00 Columbian a true condition rarity. A cumulative analysis of all submissions received from 1945 through February 2004 is detailed below. The above analysis demonstrates the difficulty in acquiring a genuine, defect free example of the $5.00 Columbian. Only 48% of all submissions, unused and used, since 1945 to date, are without faults of some kind. Since 1991, 38% of unused and 51% of used submissions have received other than genuine fault free Certificates. Based on this analysis, both collectors and dealers are cautioned to obtain a PF Certificate before purchasing or selling a $5.00 Columbian stamp.